Short Description: This is a Bank Owned REO property located at 2750 Stickney Point Road Sarasota, Florida. The subject is a vacant office condo unit consisting of approximately 1,098 square feet on a 48,351 square foot lot. Short Description: The current configuration of this property lends itself to easy conversion to two, possibly three separate units. The Community Commercial Zoning provides many permitted uses. Short Description: An attractive office building in a well-established business community minutes from Interstate 295, which allows accessibility from not only Mercerville but surrounding communities. A physician who recently retired, used the entire first floor office as a doctor’s office, with a handicap ramp into the building from the rear parking area. Excellent investment property as well as owner occupied unit while receiving rental income for other units. 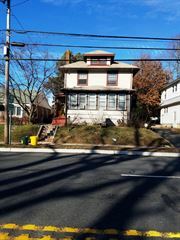 Short Description: Well maintained and newly renovated mixed use property. Perfect for the business owner with a need for yard space. 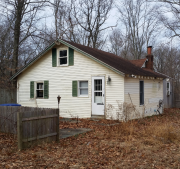 The two bedroom home on the property could generate additional income or serve as the owners home. While the property is only listed for sale the owner may consider a lease for some or all of the space. Short Description: Well - maintained bank building right off intersection of Routes 1 and 130 in North Brunswick. Triple net lease in place through 2021 with stable Tenant. Excellent investment opportunity. Short Description: Attractive free standing building available for sale or lease in highly desirable Hamilton Business Center. 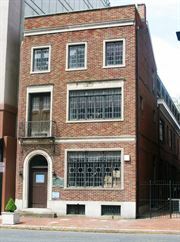 This building is easily accessible to Routes 195, 295, 130 and the New Jersey Turnpike. It offers an abundance of parking and outside storage. Call today to make an appointment! Owner will consider a sale-leaseback for an owner-operator who may be in need of less space and looking for an income producing investment. Many possibilities exist. Short Description: Great opportunity for contractors or tradesmen looking for a shop area and storage. Provides private enclave in the rears of the residential properties. It has great accessibility to most of the county because of its location in the city. Some of the buildings will need some work, but this a hard to find commodity and truly priced well for a quick sale. Short Description: This is an ideal location for many uses. The owner will also consider selling the business and equipment to keep it as a service station. 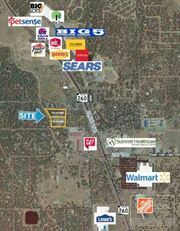 This is also a great location for a small restaurant or convenience store. With the traffic that goes in and out from the city and back to the township, this is a highly visible property that would create great site prominence for any type of business. 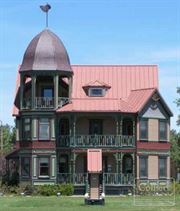 Short Description: This beautiful, historic multifamily home was previously used a law firm. 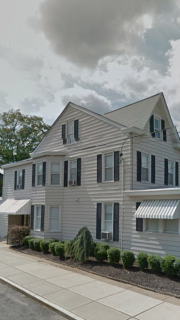 With its numerous offices on three floors, this property is well designed for many different types of businesses, to serve the nearby state buildings or Tri State area and Pennsylvania. Close proximity to major traffic routes, its historic charm and views of the river, make this a relaxing, convenient place to conduct business. Office / Office Building / New Office Listing For Sale $985,000. Short Description: Beautiful office building in close proximity to State House. Ideal location for any professional or organization that conducts business with the State of New Jersey. Very convenient to Route 1. Parking available onsite. Call today to arrange a showing!